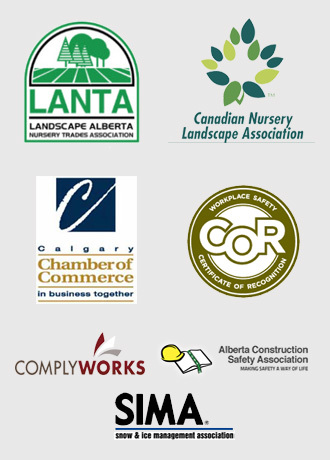 Mirage Landscaping of Calgary has been keeping both residential and commercial properties green for three generations. We are a full service landscaping design, construction, maintenance, and snow removal firm, and we meet every season Calgary throws at us head-on. Fall may mark the end of summer, but it is a great opportunity to get a head start on next spring and summer. Make no mistake, as the days shorten and a chill takes to the evening air, time is running out for new planting projects, but there is still plenty to be done. The sun is still intense enough to warm the soil, and it is a good time time to plant or transplant trees and shrubs. The combination of warm dirt that isn’t getting baked dry every day, and cooler night air, serves to stimulate a newly planted or transplanted tree or shrub’s root system to get as fully established as possible ahead of winter. Having spent the spring or summer in a pot at a nursery, and consequently not having been struggling for water or nutrients across the summer, pot grown trees and shrubs will typically seize the chance afforded them and thrive until the first deep freeze. Come the thaw next year they are already fully past any stress from the initial planting or transplanting and ready to use new inputs as efficiently as possible. Likewise, if your grass could use a bit of sod or seed patching from a spring and summer’s worth of pet damage or heavy foot traffic, these next few months can see that project completed and your lawn properly fertilized to build critical root carbohydrate mass to see it through the winter. Even if you don’t have anything to plant, there are still plenty of fall projects to contemplate. Of course, every yard and commercial property benefits from a thorough fall clean up. If you have perennials or shrubs you know do not overwinter well due to their susceptibility to sustaining physical damage, or their tendency to develop rot problems, you’re going to want prune those or even aggressively cut some of them back to trigger new growth come spring. Also, don’t forget to carefully inspect your trees as leaves or cones fall from them. Do you have any branches that are going to stand a chance of blowing into nearby utility lines? Are there any branches overhanging sidewalks, or the road, where a snow or ice load might snap them off and become hazardous to passersby? The next few months are the time to get potential deadfall limbs trimmed from the trees on your property. Until the temperatures dip so low that digging becomes problematic, and concrete has difficulty curing, it is still construction season at Mirage Landscaping of Calgary. As most people elect to have patios, fences, French drains, retaining walls and other projects built across spring and summer, our availability sometimes limited during those months. However, at this time of year, many projects can still be comfortably completed before the weather deteriorates too much. If you’ve noticed an unacceptable amount of erosion is a slope, waiting through another couple of seasons of rain, snow, and running meltwater is just going to make for a bigger job come spring. Why not install a retaining wall now, before the worst happens, and part of your yard slides downhill after the ground becomes supersaturated with water? If you have low spots in your yard or near your foundation, or anywhere else where drainage is poor, now is the ideal time to improve the water management ability of your property. We can still easily install perforated drains in low spots or beneath problematic down spouts from you gutter system to keep water from damaging your landscaping or from creating a seepage problem into your foundation or basement. The Chinook is not kind to fences in a state of disrepair. If a total fence replacement is not in your budget, fences are a great project to complete in stages. You can always have us tackle the worst of your weather-beaten fence problem now and then finish the job in the spring. 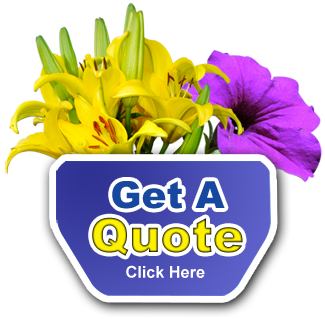 No matter your what your fall projects are, we offer free quotes for all of our services.